Except for the bible, the earliest mention of the tribe of Gog is found as invaders of the Hittites about a thousand years before Christ. 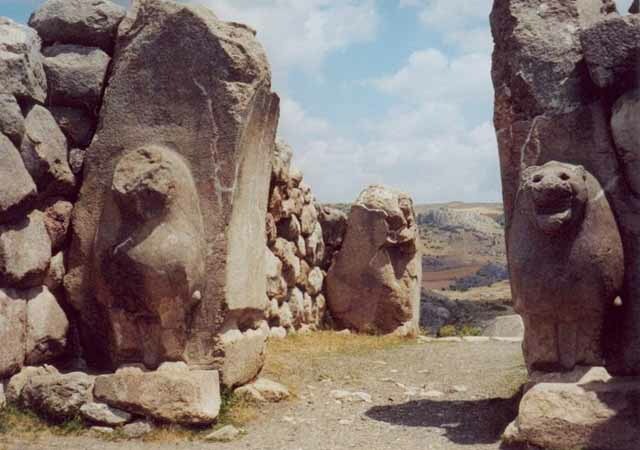 The Hittites lived in what we now call Turkey. The double G sound is the way to trace Gog in history. In Hittite history, the name is spelled as Ghazga, a sound very similar to Khazar. Since it’s difficult to transmit these languages into English, think of the name George, as in Georgia, George Bush, King George III, Lady Gaga, caca (the baby word for feces in some languages) and you get the picture. The Hittites were a peaceful and well-organized very early society. Archaeologists have determined that they grew wheat, had writing, brewed beer and lived in enclosed fortified cities. They built walls and defensive fortresses to defend themselves against the invasions of the double G’s from the Caucasus who always arrived just in time to steal the harvest. Without bogging down in detail, know that one Hittite king received an envoy from the Egyptian Pharoah requesting to marry a Hittite princess as the mark of alliance. The Hittite King’s response was one of great joy. The Hittites were a friendly and advanced nation who then allied with the Egyptians and effectively held off the double G’s for quite a while. When the Gogs did break through, the effect was the movement of populations. We don’t hear of them as such again until the time of Alexander the Great, about 300 years before Christ. The ancient breach of Ergene-kun was first made known as a threat to Christian Europe when envoys of the Ishmaelite Assassins sought aid from Louis IX of France and his family relation, Henry II of England in 1238. These Ishmaelite Assassins were Christians of the Middle East, and the name Assassin in those days did not refer to cowardly murderers who killed for money. Those killer guys were called Fedeos. According to their report to the Christian kings, the ‘Mongols’ or ‘Tatars’ had burst from what was thought to be the Caspian Mountain, but the words that describe the place are “from the mountains of the Arctic”, a description that fits the place called “Do Not Go There”. is a possible source of Gog and Magog. The following is from an article with rough translation from Russian, however there is an American made documentary which appeared on U.S. television which had horrifying images of the campers who decided to go there. Their bodies were found outside in the freezing snow, burnt, with terrified expressions on their faces. It is very difficult to find a link to this documentary, but I have seen it a couple of times. 1959, Sverdlovsk region. Not returned on time travel expedition of 9 people, was headed by Igor Dyatlov. The first search yielded no results. After a few days of expedition tent was found, tourists it is not detected. The most puzzling was the fact that all the things tourists and most importantly the upper warm clothes, money, documents were in place. The study of the state of the tent revealed that the owners had left in a hurry, as evidenced by the cuts made inside the tent. Later, all the members of the expedition were found dead in different places. All were without warm clothes, many without shoes. What made tourists flee warm tent, without taking with him the kind of thing remains a mystery to this day. The place where this happened is in the Sverdlovsk region in the Mount Otorten. In the language of the local population Mansi, translated as — do not go there. Among Mansi there is a strong belief that live on the mountain Otorten spirits of the dead. Concern their existence can lead to dire consequences. In this area are frequent guests of UFOs. Sometimes there are strange glow, during which a man falls in inhibited state and can not control themselves. “…a few things had astounded the rescue workers: gray hair, crimson-orange tanned skin, and empty eye sockets of the two bodies. Upon first seeing the cargo, the helicopter pilots refused to take the bodies on board and requested additional packaging to be provided. 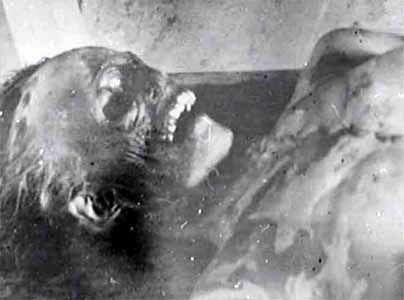 After a few hours in the Ivdel prison morgue, the medical examiner, Boris Vozrozhdyonny cut open the body of Nikolai Thibeaux-Brignolle and gasped in awe. Under the intact external tissues of the head, the skull was crumbled – there was an extensive depressed fracture coming through its right side. Zolotaryov’s and Dubinina’s injuries were no less grim: crushed chests, no eyeballs and Dubinina had no tongue*. Many years would pass before prosecutor Lev Ivanov acknowledges that he had fudged the case, following an order coming from the highest ranks of the Communist hierarchy. Khrushchev was informed that the tourists died of hypothermia. The case needs to be closed…All those present at the pass during the search signed a non-disclosure of information for 25 years form. The area of Kholat-Syakhyl and Otorten was roped off from the public for 3 years. There is, however, some credibility to the rumors about secret trials to be found in the history of the missile development of the“Uralmash” plant, commonly known as the forge of T-34 tanks. 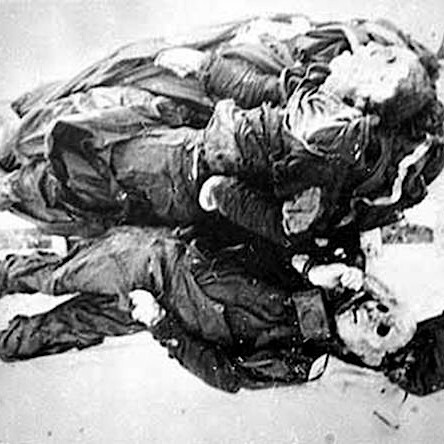 One of the bodies discovered burnt and crushed from the inside in below zero temperatures. …one of the most extraordinary and astonishing versions came from none other than Lev Ivanov himself. In 1990, the retired Prosecutor published an article, “The Enigma of the Fireballs”, where he admitted that in spring of 1959, under the pressure of A. P. Kirilenko, and of his deputy, A. F. Yeshtokin, he withdrew various key materials from the case that indicated the true cause of the accident: “fireballs” or a UFO*. [Another] investigation came to a sudden finale when in 1961, Gennadi Patrushev crashed flying his Yak-12 near the Chistop mountain range. Shortly thereafter, Misharin committed suicide in his own bathhouse: a shot to the head with a service weapon. Finally, something took revenge upon the soldiers as well. Three privates went insane and were discharged after they met themselves coming up a hill. The ill-fated radar site was closed in 1985. And this was just another record in the murky history of Chistop. Gennadi Patrushev crashed his plane here in 1961. Twenty years before the Dyatlov incident, a whole NKVD squad of forty people* allegedly disappeared in the area of the mountain range in 1939. The squad had been detached for search for the Golden Lady, the fabled idol of the Great Mother-Goddess of the Ostyaks, the Voguls and the Samoyads. In the 1930’s, Soviet occultist Alexander Vasilyevich Barchenko actually led several expeditions in search for the idol in the Ural Mountains. The research was commissioned by a special occult department in the OGPU/NKVD*under the Commissar, Gleb Bokiy, one of the founders of the Gulag system. 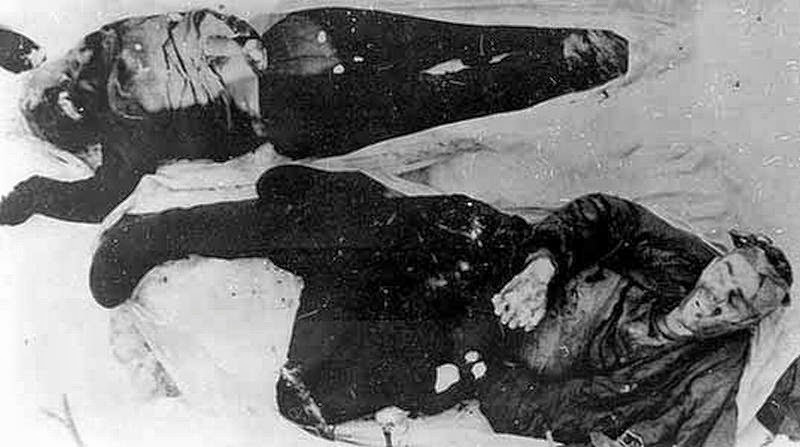 Barchenko and Bokiy were shot in the years 1937-38, while their findings remain classified until this day. The ‘Assassins’, according to the Encyclopedia of Islam, at that time were not actually the group who went around killing people they don’t know at someones else’s request. The original Assassins were associated with a group known as the Ghur/Gaur whose architecture and artwork are undoubtedly Celtic, and traces of this can be found from the Kabul Pass all the way to Scotland along the Northern Trade route. They were warriors, presumably protecting the trade routes which had been established by King Thibeau II, but they were Christian warriors and not known to be cowardly killers hiding behind bushes or dropping poison in someone’s food as assassins are wont to do. I can only conclude that the name Ghur/Gaur is the word used for the Knights Templar at that time, since they fit the description and function of that group and operated at the same time. It would also be likely that the Spanish word for war, guerra derives from this word also, as does warrior. There are similar words in Chinese and many other languages. The real hired killers came in with a usurper named Rashid al din. Through the use of poison, and influence over the next in line to be king, he managed to murder the true ‘Old Man of the Mountain’. Working from the inside, he created confusion of identity. These usurpers made use of the ‘Fedeos’ from which we get the word ‘Federal’. They murdered for money, in a secret way, pretending to be the friend of their victim so as to gain access. This is how they managed to kill Mu’awaya, the last Caliph of Damascus and his family. Except for one survivor, the family would have been completely exterminated. But the blond-haired and freckled Abed Al Rahman I survived and made his way to Spain. What was there in Spain for him? Family roots. Back in 1083, Christian King Etienne-Henri married Adele, the daughter of William I, the Conqueror of England. Adele was a member of the Al Adile dynasty which had control of almost the entire Eastern part of Christian Byzantium. This can be seen in maps of that time. Their son Stephen Henry of Blois became King of England. Their son Thibeau II (1125-1152), known to us as Thibodeaux, became heir to both Champagne and Blois, but also to the territories of the Middle East since he also held the title of King of Jerusalem. It was through Adele that he received this title and it was because of this inheritance that, when the Khazarian Rashid infiltrated Damascus, that they were compelled to intervene, not to keep out the Muslims, but to keep out the Khazarians who call themselves whatever causes the most confusion of identity. So the Fedeos were a tool of the Khazarians who have also given us the concept of a Federal Government, which is to say, a centralized sucking machine that removes the wealth of nations through the use of, what else can I call them now but assassins. As unsettling as that word etymology for Fedeos and Federal, this is the fact and these same techniques of befriending the victim were still being used by Murder, Inc. at least until the 1960’s. I have word of this from an actual employee of Murder, Inc., an old man named Jacob Shapiro, a close friend of mine, now passed away. Befriending the victims before murdering them could also be a good description of Democratic Government. The Assassins who were not assassins were actually asking for Christian aid against the usurping Fedeos who were assassins. How can you explain to people today that the original Assassins were not assassins? No wonder no one wants to study history when on a deep inner level our hearts are understanding that we are being told lies, but since we don’t know the truth to refute the lie, we simply turn our attention elsewhere. When the history books say that “In 1244… Khwarezmians retook Jerusalem”, it’s important to note that the word Khwarezmians is a corruption of the word Khazarians. To say that they ‘retook’ Jerusalem’ is to say that they had been there before, but when? The last time, of course, was when they murdered the family of Caliph Mu’awaya which put an end to unified Muslim-Christian worship in Damascus. Or was there yet another occasion at the time of the crucifixion of the true High Priest Jesus by the family of the usurper Edomite Herod? Are we getting an idea of who these Khazarians are and what their goals are? Though we are told that the Khazarians or Khwarezmians are Muslim, they were actually fighting against the descendants of Caliph Omar who had built the Mosque of Omar in Jerusalem and were the governing dynasty there, so how can they be called true followers of Muhammad and the Quran? This is why the word Shia is applied to them: they formed a schism much as the Protestants fought against the first Christians and formed a schism by ‘protesting’ against the established norms, destroying churches and literature of the Christians, creating every kind of chaos imaginable, yet still calling themselves Christian. One of the first Protestants, Calvin, preached openly for the murder of Christians. In both cases, the group forming the schism can be identified as Khazarian and in both cases they are destroying the established way of life. This is why they can be found in all religions today. If the name Omar identifies the original Sunni, the Christian-Muslim alliance, then equally do the names of David, Sinan and Rashid identify the original Khazarians, as well as their descendants. Notice the similarity between Rashid and Rothschild? Between Sinan and Zion? 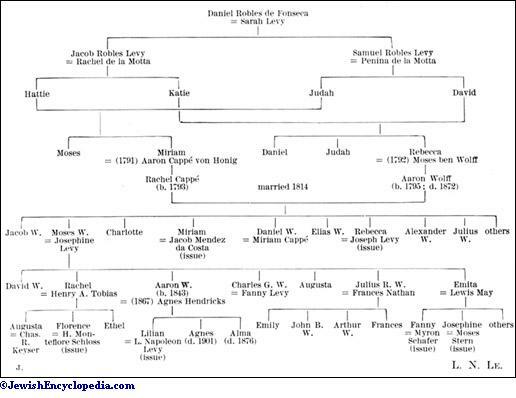 Inbreeding was established early as a family rule, one of the very few rules that they observe strictly. The reason the name ‘Omar’ is anathema to the fake Muslims of Khazarian creation is because he represents unified Christian-Muslim alliance. A recent article reports that people with the name of Omar are being targeted for assassination by ISIS. Such a problem is forcing people to have to change their own and their children’s names, in other words, deny their own heritage, just to survive in the imposter Muslim Khazarian world. The only way to explain this is that these “Khwarezmians” are the group whose origins are the same as that of the Gog people of Mongolia. Their movement can be traced through their original break through the mountain at the time of Muhammad ca. 650, their infiltration and slow wasting of the entire Middle East region of the Christian Byzantium beginning c. 900, especially in what is now Turkey, their defeat by the Christian Russians of the time and their retreat to Kurasan and later entry into North Africa where they destroyed the fertile region of Ethiopia. From there they moved into the famous slave trading region of Morrocco, and then into Teruel, Spain. Later, on to Essex, England where some were repulsed northward towards the Teutonic regions by William the Conqueror. After this, Henry VIII’s questionable daughter Queen Elizabeth sponsors Drake and his pirates, they enter the Americas, always bringing the slave trade with them. It was their stated intention to make slaves of the white Christian Acadians who were already settled there. This is who they intended to work their American Slave Plantation. They govern their plantation from Virginia, where it remains to this day, an entity called Washington, DC. 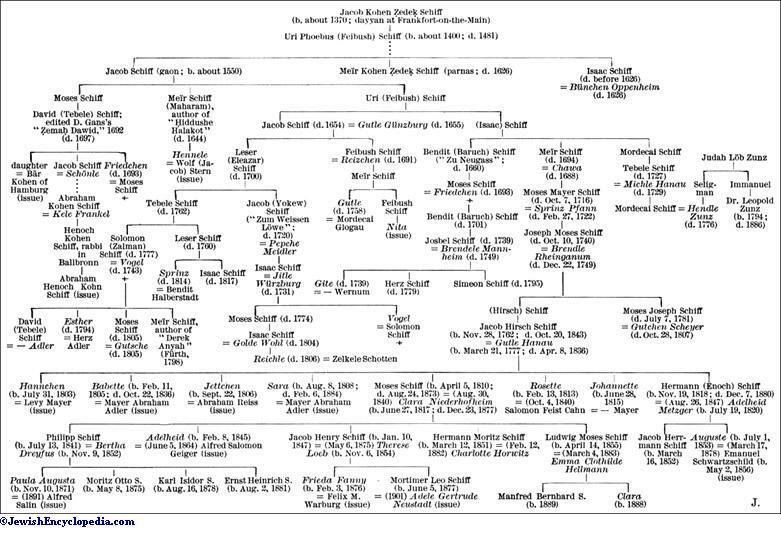 Notice the name Felbush Schiff. Schiff was the name of Nicolas Tesla ‘secretary’, the one most likely responsible for stealing his inventions. It seems that the family name ‘Bush’ derives from Felbush. Wherever they go they bring excessive taxation, elite and foreign occupation, and of course, the slave trade which pushes the local Christians to other areas. As the Khazarians move in, Christians move out, at least for awhile. They generally return and take back what was lost. At their entry into North Africa c. 900, some of those Christians ended up in Italy, Etruria to be exact, keeping their original place names as they’d been known in Northern Africa. Their place names can be found also concentrated around the Pyrenees and into the Beaujolais regions of France. The tribal name Beja is associated with them. The situation is further complicated by the rise to power of Chingis Khan, who led a break-off group of Mongolians that swept into Kurazan and Babylon to recover the treasures that had been stolen from Damascus by the fake Muslims. No one knows the origins of Chingis Khan, but his family must certainly have originated in the Middle East. How else to explain Chingis Kahn’s adoption of the Christian Nestorians’ Uighur script and use of them as civil servants? How else to explain the introduction of Christian Nestorian culture and literature within his group of ‘Mongols’, his use of Christian Nestorians as civil servants? What is a Christian Nestorian anyway? Nestor is the Christian monk who pointed out that the mole on Muhammad’ back marked him out as a prophet, descendant of a royal bloodline of prophets. In other words, the Nestorians were the Christians who supported Muhammad and who accepted his scripture, at least in its original pure form. After Chingis Kahn, his particular Mongols “considered the Uighur language and script to be the height of knowledge and learning”. These Mongols wiped out the usurpers who had infiltrated the Ghur strongholds. By 1251 the Mongols, never a completely unified force before, were under the rulership of a Christian Queen, widow of the deceased Mongol king. She ruled until her young son came of age. This is a typically Christian pattern of behavior. They recovered for Christianity various territories that had been taken by Khazarians: the area south of the Caspian Sea in 1256, Baghdad in 1258, Aleppo and Damascus in 1260. Order and peace ensued described as ‘civilization, justice and religious tolerance’, in other words, a recovery of the conditions that had existed at the time of Caliph Mu’awaya. The rest of the historical narrative that describes alleged atrocities may have been written by the defeated Khazarians, but the actual fruits of Mongol activity after Chingis Kahn undoubtedly are the spread of Christian civilization all the way to China. Quite a number of their ‘conquests’ involved nothing more than accepting the surrender and even welcome of the populations in question. 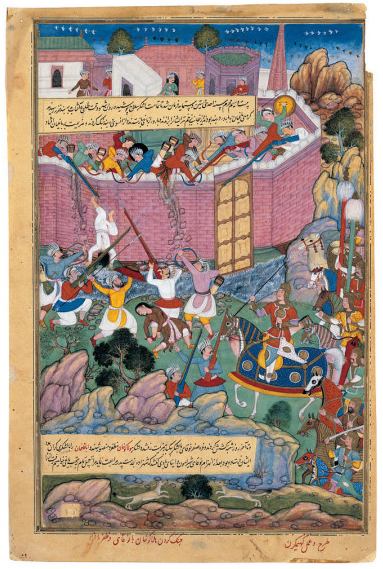 The friars who collected the information in the Carpini Narrative describe Chingis Kahn’s battle with the enclosed tribes of the Caspian Mountains. Therefore, it is unlikely that Chingis Khan himself had any relation to Gog. It is a recorded fact that he allied himself with a group of like-minded people after his father had been murdered by the Mongols and his mother was abandoned to her fate, alone in the steppes with several small children. Their survival was nothing short of miraculous. His exploits involved the recovery of Christian territory from the Khazarians, obviously the same people who murdered his father. Now, like all the people in history who spread Christianity, he is labeled a ‘barbarian’ in our Khazarian-written textbooks. Perhaps the Khazarians were jealous of their think beards, and so gave them this name in reference to that. The Khazarians have a problem of having very scraggly beards, and perhaps at one time didn’t have body hair at all, like certain native Americans. Whereas the Israelites, especially the Sallic tribes were said to have very thick hair, which can be seen in ancient images of the Hellenic Greek gods, whose hairstyles were an important part of their identity. The Hellenes are defined in old dictionaries as the Tribes of the Israelites who settled in Greece. 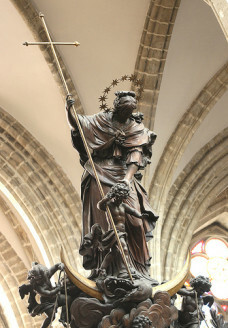 Mary crushes the head of the serpent with her cross of Christianity, standing upon the Crescent of Islam.